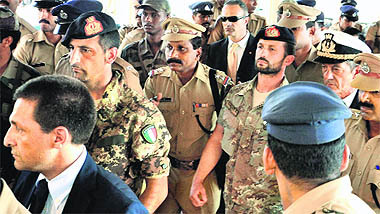 Despite four-day-long diplomatic parleys between India and Italy, the row over the death of two Kerala fishermen has not de-escalated. The Directorate General of Civil Aviation ( DGCA) today launched an inquiry into the flight cancellations by Kingfisher and other airlines during the past few days. Opposition to the National Counter Terrorism Centre (NCTC) has increased with two more non-Congress-ruled states joining in the chorus. The CIA is believed to have shared information with its Indian counterparts on the last week bomb attack in New Delhi on an Israeli diplomatic car, including on alleged Iranian links. The Income Tax Department has demanded over Rs 413 crore as tax from the world's richest cricket body, the BCCI as per its income assessment for the year 2009-10 of which only Rs 41 crore have been paid, an RTI reply has said. Police and militia patrols fanned out in the Syrian capital's Mezze district today to prevent a repeat of protests against President Bashar al-Assad that have threatened his grip on Damascus, opposition activists said. it believed a peaceful solution to the Syrian crisis was still possible but Britain's foreign minister said he feared the Middle Eastern country will slide into civil war. 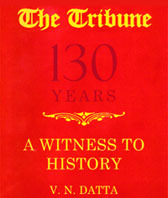 With the special court granting permission for a Letters Rogatory to be sent to Morocco, the National Investigation Agency (NIA) has begun the process for sending request to that country for recording the statement of Pakistani-American terrorist David Headley's estranged Moroccan wife for evidence against him. 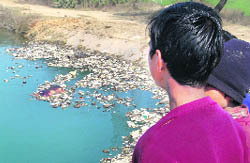 For a week, Shingara Singh has been camping along the Bhakra Main at Khanauri, his eyes riveted to the water channel.